Not content with boasting a plethora of titles available to play near instantly, GeForce NOW - the streaming service which is an integral part of NVIDIA's SHIELD gaming platform - today announced partnerships with both SEGA and Warner Brother's Interactive Entertainment which will see an influx of new experiences for subscribers. It will come as no surprise that SEGA will be bringing their big gun to the party; yes, Sonic will now be a part of the the SHIELD Console, Tablet and Handheld catalogue. Sonic the Hedgehog 4 Eps 1 and 2, Sonic & All-Stars Racing Transformed, and the classic Sonic CD will all be playable with a GeForce NOW Membership alongside two other SEGA titles: Warhammer 40K and Alpha Protocol. These additions alone add no small amount of value to the $7.99/month service. But let's not forget Warner Bros. Available through the GFN store in the near future as standalone purchases will be Middle-earth: Shadows of Mordor, Mad Max and LEGO Jurassic World. Shadows of Mordor in particular has been acclaimed for impressive graphics and innovative game mechanics following its 2014 launch, but required pretty meaty hardware to generate good quality visuals. By making it available on GeForce NOW gamers without a high-end gaming PC can enjoy it from the comfort of their living-room. These titles will available on the GeForce NOW platform in the coming weeks, with the exception of Sonic & All-Stars Racing Transformed which can be played immediately. Also newly added today is Quantuum Conundrum, a puzzle-platformer developed by Airtight Games and published by Square Enix. Today's announcement will bring the number of titles available to stream through GeForce NOW up to 100. 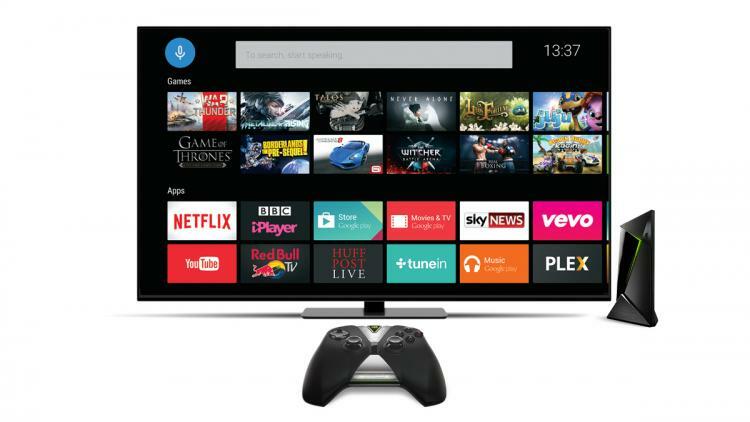 NVIDIA SHIELD devices are equipped with Google's Android OS, and so benefit from an immense range of apps beyond the GeForce NOW service including Netflix, BBC iPlayer and Youtube.